Heavy antioxidant protection for the heart muscle. 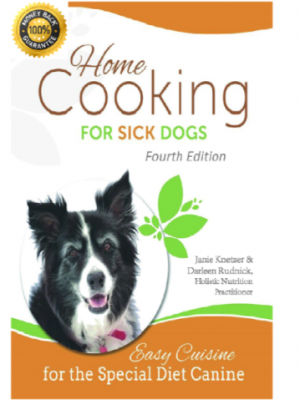 Helps dilate the blood vessels and circulate more oxygen throughout the dog’s body. Aids in regulating an erratic heart beat. 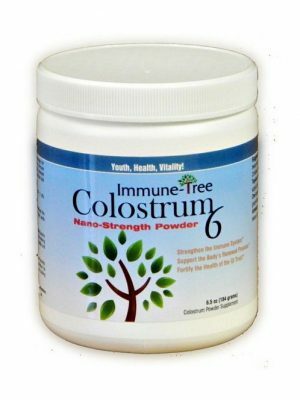 Helps the body remove excess fluid (ascites). 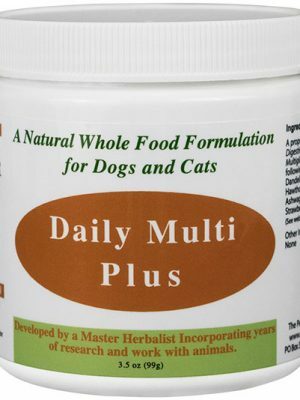 All-natural, alcohol-free herbal heart tonic for dogs diagnosed with heart disease has been formulated for your pet by a certified master herbalist. The herbs that have been chosen for our tonic help to strengthen the heart muscles and increase the ability of heart related blood vessels to move blood and energy throughout the body. Because of the tonic’s flavonoid content, it provides great antioxidant heart muscle protection, helps the blood vessels dilate to allow more oxygen and nutrients into the heart, helps with irregular heart rhythms, and removes excess fluid which can be a result of many heart related conditions. What is the treatment for congestive heart failure in dogs? 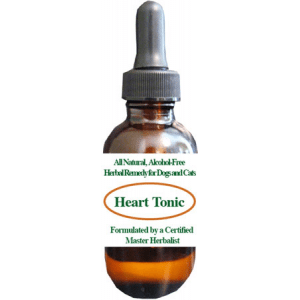 The alcohol-free natural Heart Tonic is made with the best natural herbs known for their ability to help with the heart. Astragalus root (an adaptogen that helps with bodily stress), dandelion leaf (a natural diuretic), garlic (a safe dosage that helps with cholesterol and blood pressure), ginkgo leaf (increases blood flow), hawthorn berries (helps dilate blood vessels) and motherwort herb (nourishes and strengthens the heart and its blood vessels). All the herbs are certified organic. **NOTE: Using this heart supplements for dogs with prescription medications such as Enalapril is NOT RECOMMENDED. It can lower blood pressure too much if you’re not very careful. This product is best used before any type of prescription drugs are ever started. 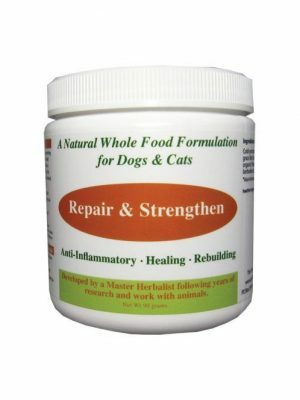 Using the dropper provided with the natural Heart Tonic, give your dog or cat 1 ml for every 25# of body weight 2 – 3 times a day. You can administer it directly in your pet’s mouth if they’ll take it that way, add it to a small amount of canned food or add it to a small treat. However, if at all possible, try to give the heart supplements for dogs as far away from meals as possible to increase your pet’s ability to absorb it with an empty stomach. If you are able to administer it without needing help from food, place the dropped between your pet’s lips and gums and squeeze, making sure not to tilt his or her head back due to risk of aspiration. Rinse the dropper off well before putting it back in the bottle. If your pet has immediate heart concerns, you may increase the dosage from one 1 ml up to 4 ml for every 25# of body weight 2 – 3 times a day. As your pet improves, slowly lower the dose back to the recommended 1 ml per 25# of body weight. 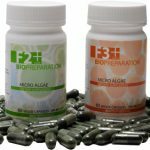 When starting out, it’s recommended to purchase enough for about two to four weeks worth of treatments, as it can take this long to start seeing positive effects. As each one ounce bottle provides 30mls and your average 25# pet will use 3mls daily, a one ounce bottle for a 25# pet will last about 10 days. It might be worthwhile to purchase the larger bottle at first to minimize risk of missing doses while waiting for a new bottle to ship. Don’t use for more than 2 – 4 weeks without discussing with your veterinarian. Monitor your pet closely during use and if any unusual symptoms occur, discontinue use immediately. Store Heart Tonic in the refrigerator to prevent degradation. **NOTE: Using this heart tonic with prescription medications is NOT RECOMMENDED. It can lower blood pressure too much. This product is best used before any type of prescription drugs are ever started. astragalus root (Astragalus membranaceus), dandelion leaf (Taraxacum officinale), garlic (Allium sativum), ginkgo leaf (Ginkgo biloba), hawthorn berries (Crataegus laevigata) and motherwort herb (Leonurus cardiaca). Other inactive ingredients: distilled water, organic vegetable glycerin.